1) Both read the Bible day and night, but thou read black where I read white. 2) That the Jews assumed a right exclusively to the benefits of God will be a lasting witness against them and the same will it be against Christians. 3) The glory of Christianity is to conquer by forgiveness. 4) I am in you and you in me, mutual in divine love. Give any marks of gentility? And left His parents in dismay. And, angry, force Me to obey. Satan gloried in his pride. I’ll soon see if you’ll obey! But you can turn the stones to bread. ‘Thus I seize the spiritual prey. Ye smiters with disease, make way. Became a chariot of fire. And trac’d diseases to their source. Till He had nail’d it to the Cross. Give any proofs of humility? And give with charity a stone? He spoke with authority, not like a Scribe. Who follow after the heathen schools? What I call’d humility, they call’d pride. He who loves his enemies betrays his friends. And this is the cause that Jesus dies. Sneaking submission can always live. Certainly was not what Christ meant. From twelve years old to manly prime? That quite unnerv’d the Seraph band? For that is My spirit of life. In terrors at the last Judgement Day. Is but the sinner to judgement to bring. ‘I never will pray for the world. In doubt which is self-contradiction? The buried soul and all its gems. With narrow soul and looks demure? With seven devils in her pen. And more sucking devils nurs’d? That He might bring salvation? The passions that with sinners deal? Yes, but they say He never fell. Where the Devil combs his lice. That for a Jew may be mistook. “Obey your parents.”—What says He? “Woman, what have I to do with thee? And Him their cruel murderer tell. That He might live above control. Give any lessons of chastity? Trembled at discovery of Love. Jesus was sitting in Moses’ chair. They brought the trembling woman there. Moses commands she be ston’d to death. What was the sound of Jesus’ breath? All away began to roll. ‘Good and Evil are no more! Sinai’s trumpets cease to roar! Cease, finger of God, to write! The Heavens are not clean in Thy sight. Nor may the sinner cast one stone. A God or else a Pharisee. And created Hell’s dark jaws? A cold leper thou shalt be. And the breath Divine is Love. The seven devils that torment thee. That forgiveness thou may’st win. And driven away my trembling Dove. Shall be beggars at Love’s gate. On which the Soul expands its wing. And thence did covet also rise. Canst Thou forgive my blasphemy? And in my burning bosom dwell? And canst Thou die that I may live? Who don’t keep the secrets of holiness! But He heals the deaf, the dumb, and the blind. Then was perfected His galling pride. Which never was made for Man to eat. And Moses said unto him, Enviest thou for my sake? would God that all the LORD’S people were prophets, and that the LORD would put his spirit upon them. 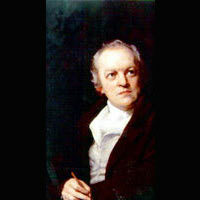 William Blake quoted this later himself as a prophecy, in The Marriage of Heaven and Hell ‘Would to God that all the Lord’s people were Prophets’.